AKIPRESS.COM - President Donald Trump’s private jet has been involved in a fender bender at New York’s LaGuardia Airport, AP News reports. 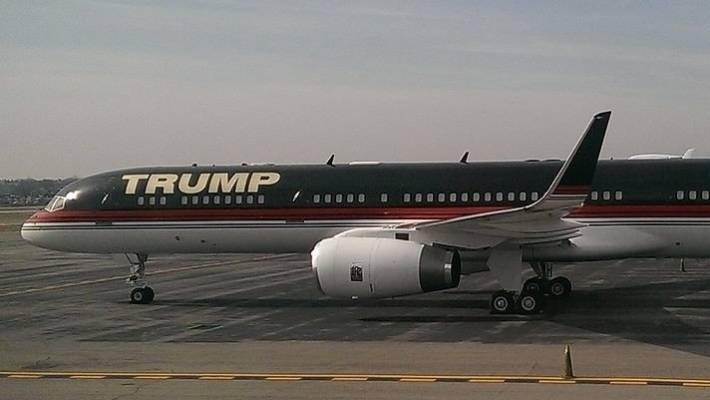 The Trump Organization confirmed that a corporate jet maneuvering into a parking spot struck the wing of Trump’s parked Boeing 757. It said the plane was parked and not in use. The Port Authority of New York and New Jersey says the incident happened around 8:30 a.m. Wednesday as ground workers were guiding the Bombardier Global Express corporate jet. It said nobody was injured and airport operations continued normally.